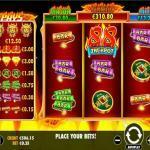 Fire 88 is a Chinese themed slot machine that is action-packed. 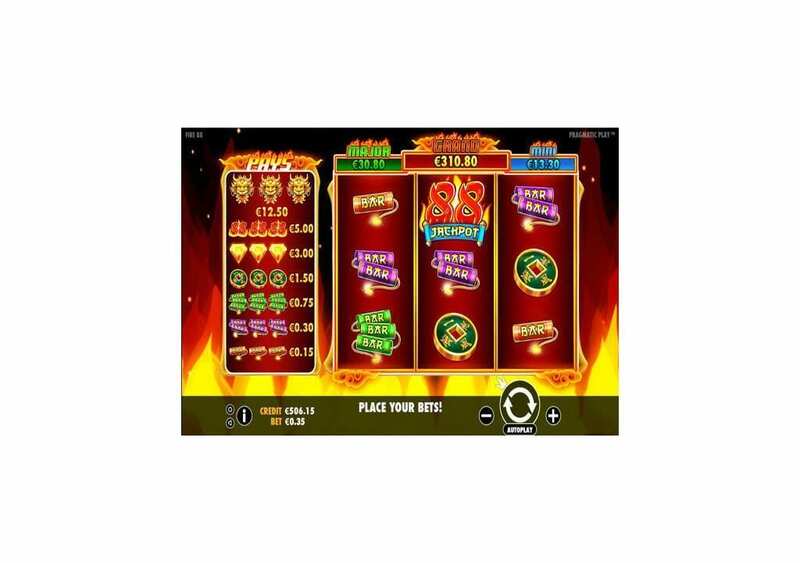 The firecracker of a slot machine is from the portfolio of Pragmatic Play, and through its reels and lines, you will enjoy a one of a kind adventure that has a lot of firecrackers, winning chances and bonuses. 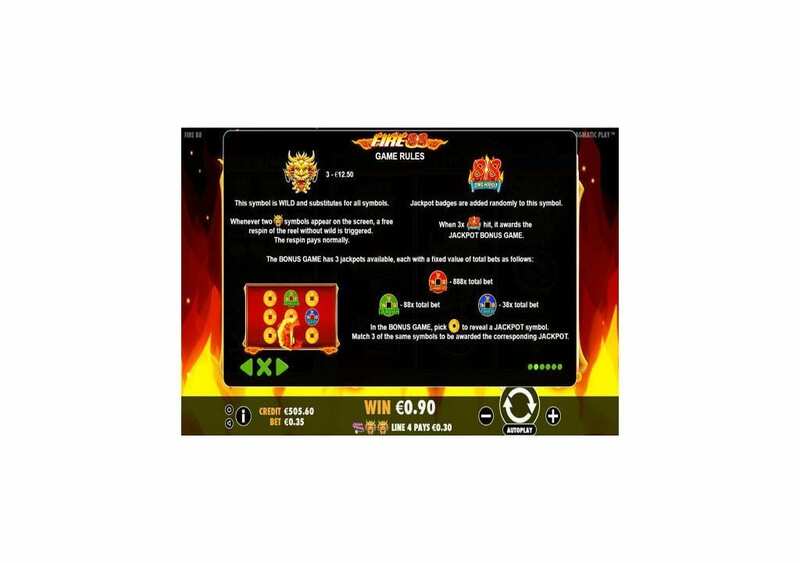 The online slot machine has three reels, seven paylines and fiery and flaming visuals. 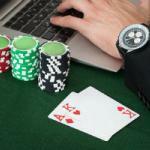 The online slot is playable across a multitude of platforms and devices. So you can have access to the slot machine through your phone whether it is an Android or an iPhone, your tablet, and laptop as well. You will be able to enjoy the slot machine with stakes that vary between 0.07 and 35 credits for every round on the reels. 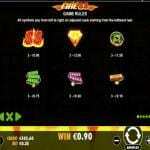 Fire 88 is a three reel slot machine that has seven stake lines that can offer massive rewards. In addition to the stake-lines of the slot machine, you will be able to take advantage of other features. For example, Fire 88 has a wild symbol, Jackpot badges, and re-spins. So you better be ready to indulge yourself in a fiery Chinese-themed experience that is full of firecrackers, flaming diamonds, and many winning chances. 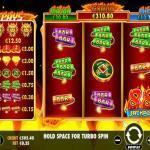 You can give the slot a few spins here for free to see for yourself all that it has to offer before you place real money bets at an online casino that offers Pragmatic Play games. 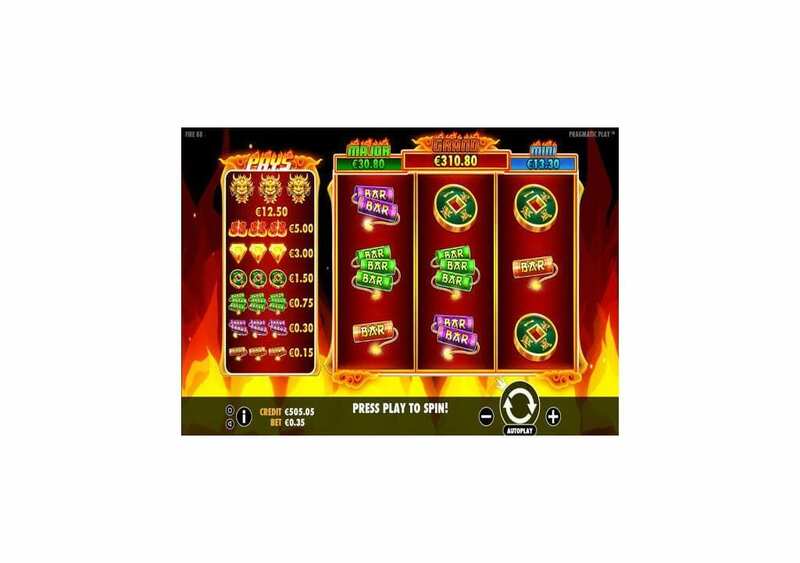 Fire 88 is a three reel slot machine by Pragmatic Play that hosts seven stake lines, a Jackpot Bonus game, a wild and a re-spin feature. The online slot machine has a Chinese theme, and while there are many slot machines on the market with that theme, the slot still manages to offer something different. 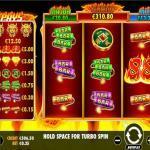 The slot machine has fantastic visuals and animations with multiple features and a jackpot. Fire 88 is playable across a multitude of devices including iPhones, Androids, Laptops, and Computers. Fire 88 slot also has a decent betting range that is between 0.07 and 35 credits for each spin of the reels. The slot is available here for free play with demo credits so you can see all that it has to offer you before placing real money stakes on the slot at a Pragmatic Play slot online casino. 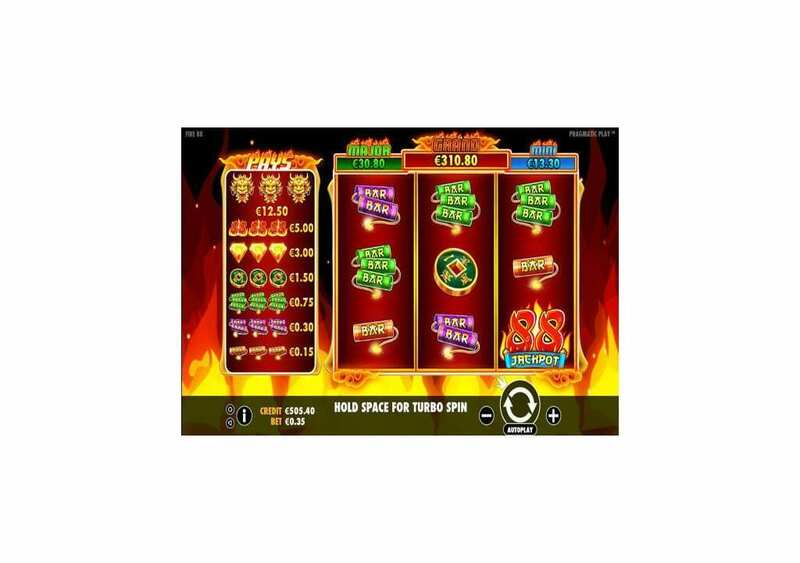 Fire 88 by Pragmatic Play has an RTP of 96.46%, although the Return to Player Percentage is just theoretical, it serves as a great indicator of the paying potential of the slot machine. 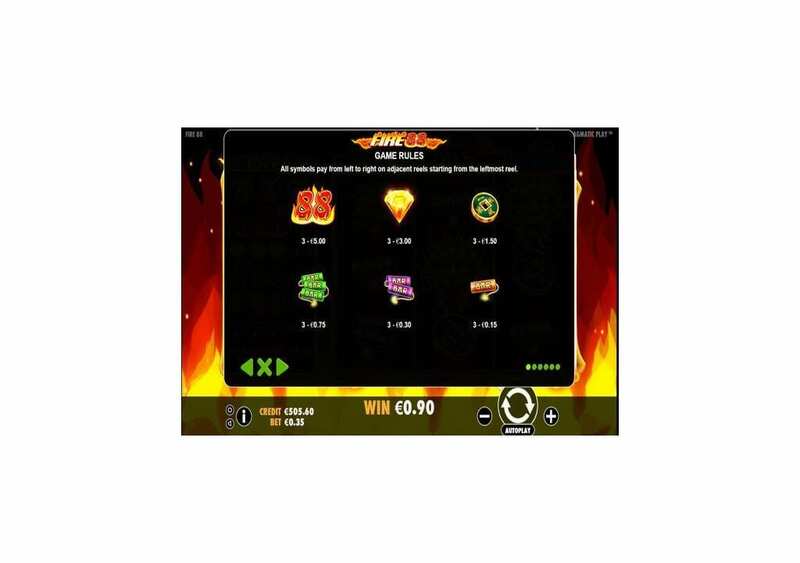 Fire 88 offers you the chance to grab your share of the rewards through its seven lines, as well as its three different jackpots. Since the slot is a three-reel slot machine, you will need to get three matching symbols on the same line to grab a reward that depends on the stake and the emblem you matched. The Golden Lion is the highest paying symbol that can give up to 1250 credits. The lowest payout that you can claim is 0.03, which you can get when you get three red bar firecracker symbols on the same line. As for the highest award possible, it is through the Grand Jackpot which is equal 12432 credits if you placed the maximum wager. 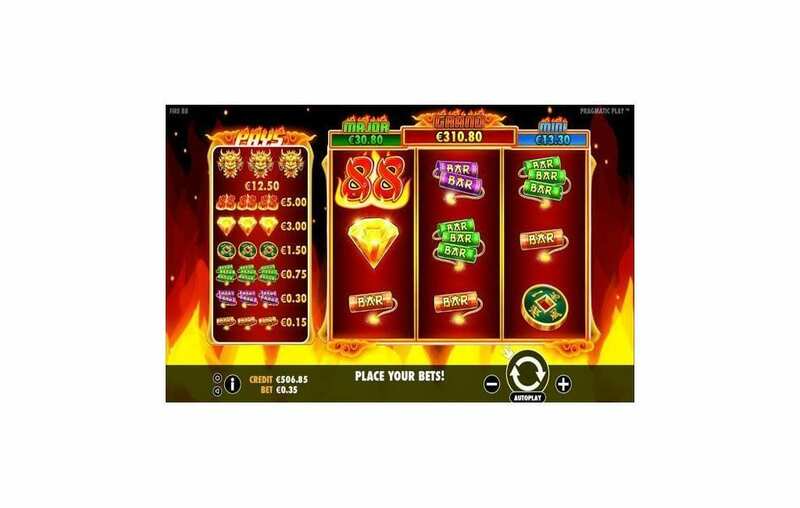 Fire 88 is a Pragmatic Play online slot machine, so you can expect to find a lot of winning chances through its seven stake lines. 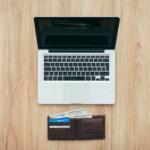 In addition to the paylines, you will be able to take advantage of multiple features and other winning opportunities. There is the golden wild, the re-spins feature and the progressive jackpot feature. Since Fire 88 is a Chinese-themed experience, it makes sense that the Golden Lion is the wild symbol of the video slot. The Golden Lion is going to substitute for all other icons on the reels to help create the highest payout possible. The Wild is also the most top paying symbol that can pay up to 1250 credits if you place the biggest bet and get 3x wild golden lions on the same line. 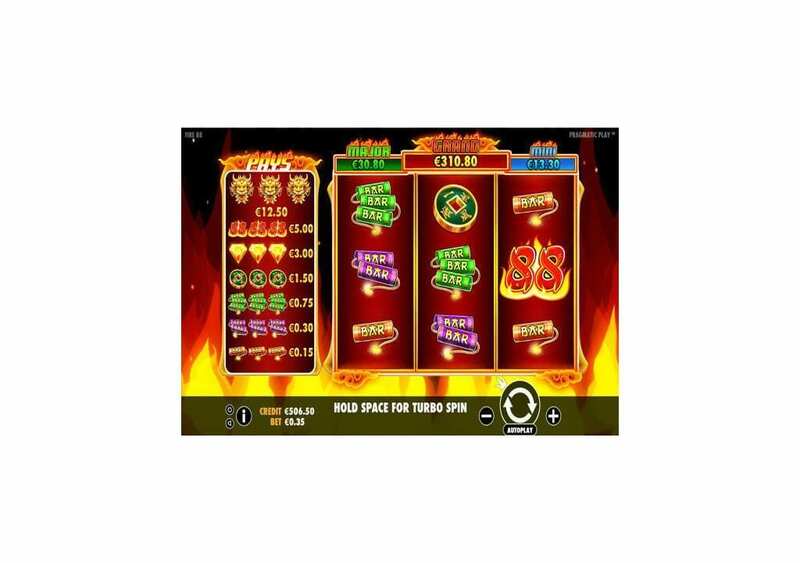 Whenever you manage to get two golden lion wild symbols on the screen of the slot machine, you will earn a re-spin on the third reel that is without the wild. The jackpot badges appear at random behind the 88 symbol. If you manage to get 3x of the Jackpot Badges, you will trigger the Jackpot Bonus Game. The Jackpot Bonus game has three available jackpots. You will see nine golden Chinese coins on the screen, and you will click on them to reveal what is beneath them. 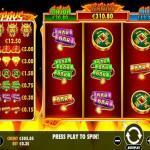 If you manage to match the Jackpot symbols, you will earn that respective jackpot. There is the Grand Red Jackpot coin, which pays 888x the stake, the Major blue Jackpot that pays 88x and the blue mini jackpot coin that pays 38x the stake.